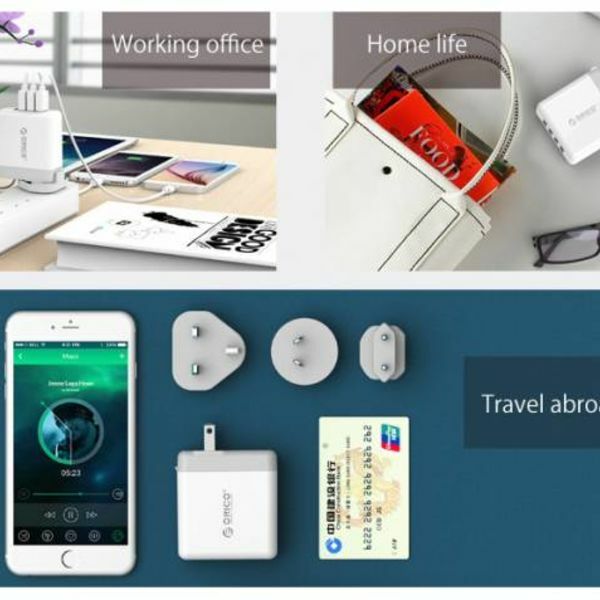 With the travel charger you can safely and stably charge your 5V devices anywhere in the world. The supplied plugs make this possible. 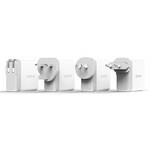 With four USB3.0 type-A ports. 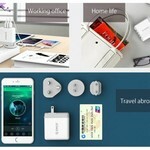 Do you travel a lot or regularly and can not you always charge your 5V devices with your own charger? 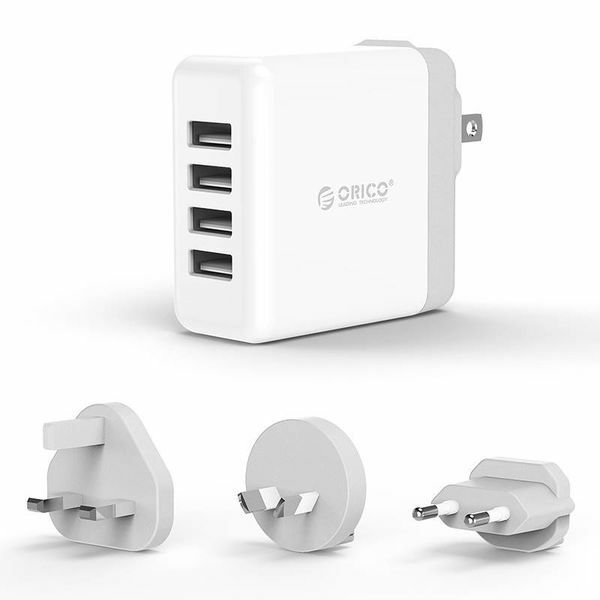 Then the world travel charger from Orico is the perfect solution. 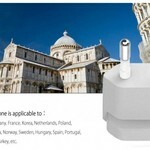 You can safely and stably charge your devices through the travel charger anywhere in the world. Plug-in plugs are supplied with the charger, which can easily be attached to the charger. 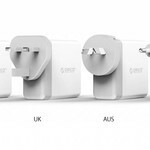 If you go abroad where other plugs are to be used, then you only have to change the attachment. 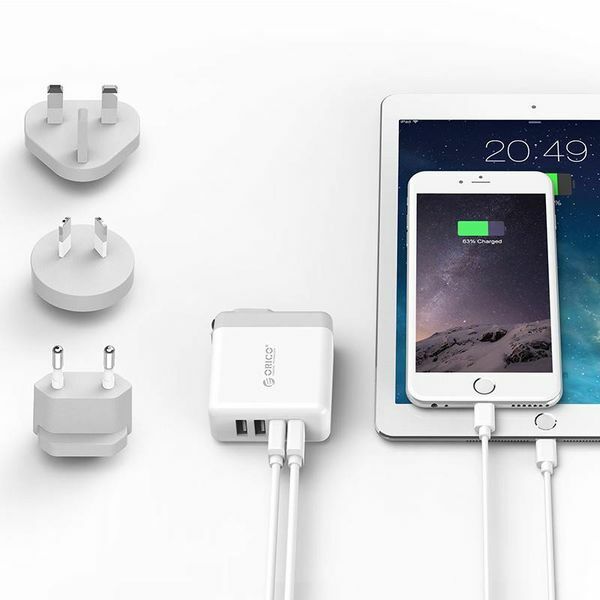 You can charge up to four devices at the same time up to 34 watts at the same time. All four USB 3.0 ports of the handy charger have a smart charging technology. As a result, the delivered charging current between 0.1 A and 2.4 A is optimally tuned. For example, 2.4A is supplied when a tablet is connected and 1A when a smartphone is connected. The extra plugs for use abroad make the charger a world travel charger. In a chic bag that comes with the UK, EU and AUS plugs that can be placed on the AC / CN plug. 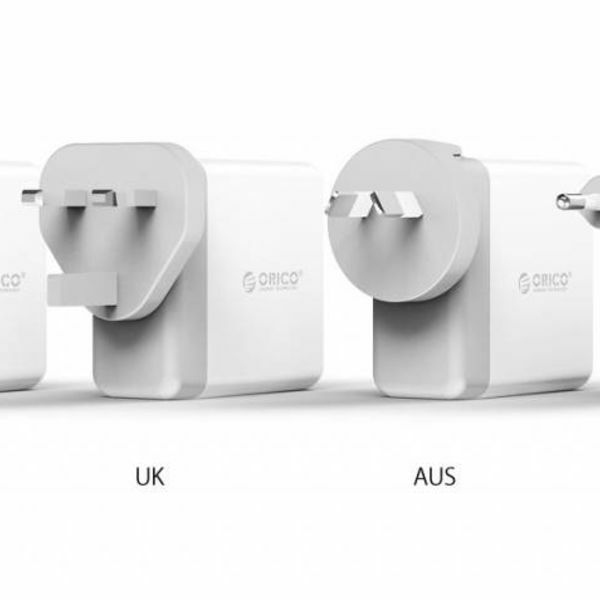 The AC / CN plug is standard installed in the charger and can be used in the United States, Thailand, the Philippines, Taiwan and Japan. 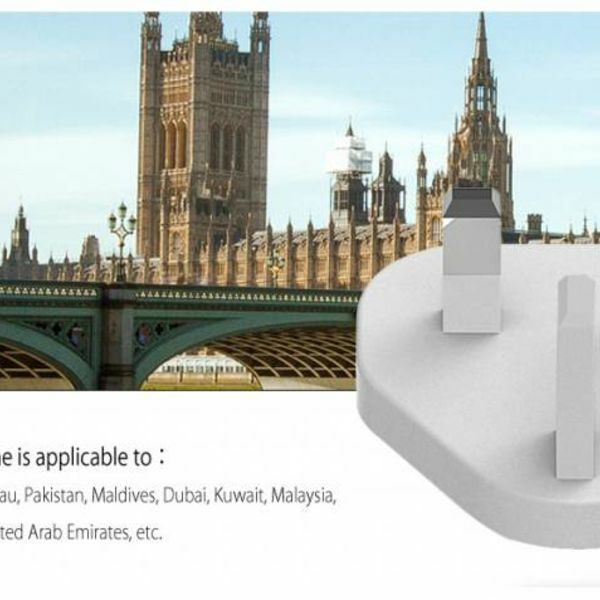 The UK plug can be used in the United Kingdom, Hong Kong, Macau, Pakistan, Dubai, Kuwait, Malaysia, Singapore and India. 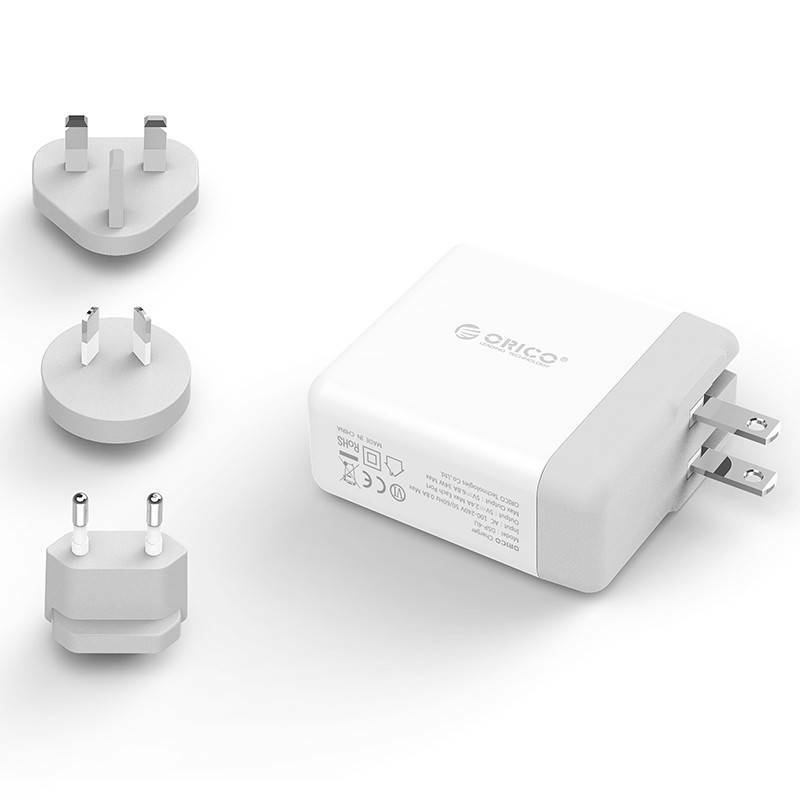 The EU plug can be used in most of Europe, including in the following countries: Switzerland, Germany, France, the Netherlands, Poland, Belgium, Denmark, Norway, Sweden, Hungary, Spain, Portugal, Greece, Austria and Turkey. In addition, it can also be used in Korea. 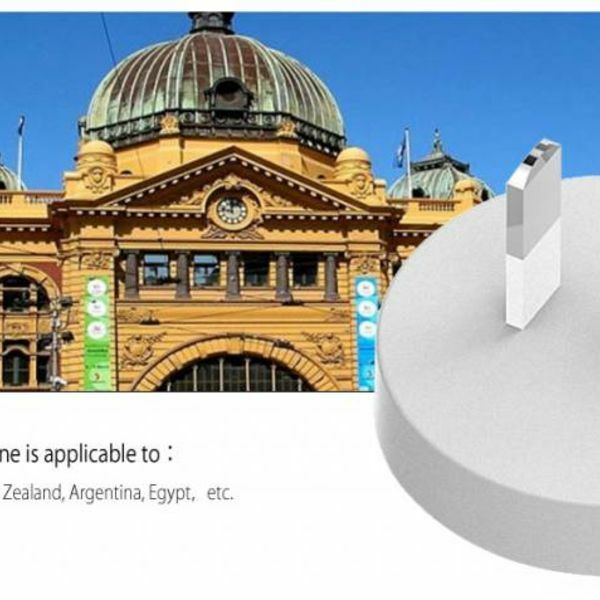 The AUS plug is used in Australia, New Zealand, Argentina and China. 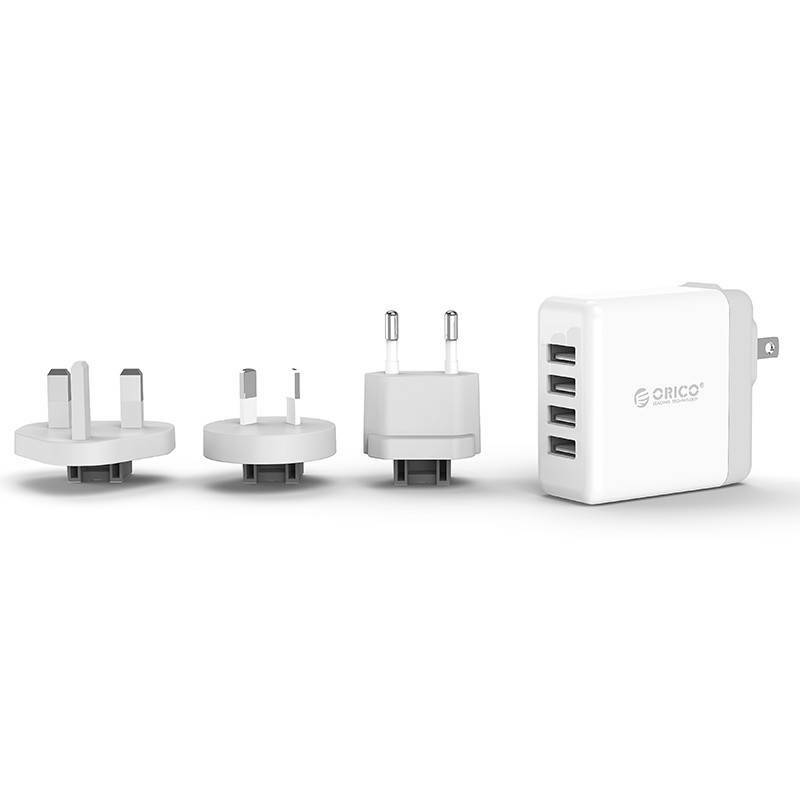 Not only is the product ideal because in every country your devices can be charged, it is also very compact and has a luxurious look. 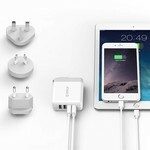 You can easily carry the charger in your pocket, handbag, briefcase or laptop bag so that it can be taken to your work, school and of course abroad. If you are not abroad, you can also use it in your own country. 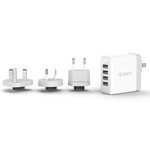 The travel charger with four USB3.0 ports is well secured, namely by a Multi-Safety security system. This protects the product against overvoltage, overheating, leakage current and short circuit. 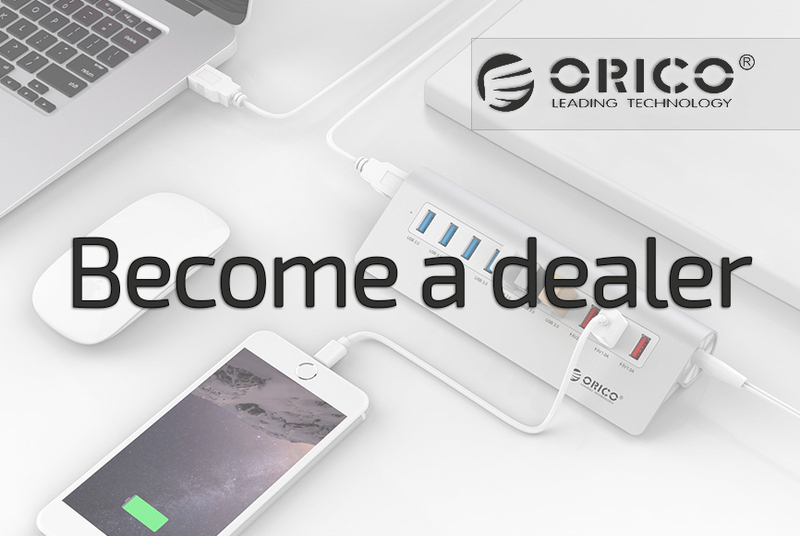 ✔ Port: 4x USB3.0 ports. ✔ Input: AC 100-240V 50 / 60HZ 0.8A max. ✔ Modern white / gray finish. 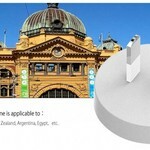 ✔ Product dimensions: 65mm x 60mm x 29mm.